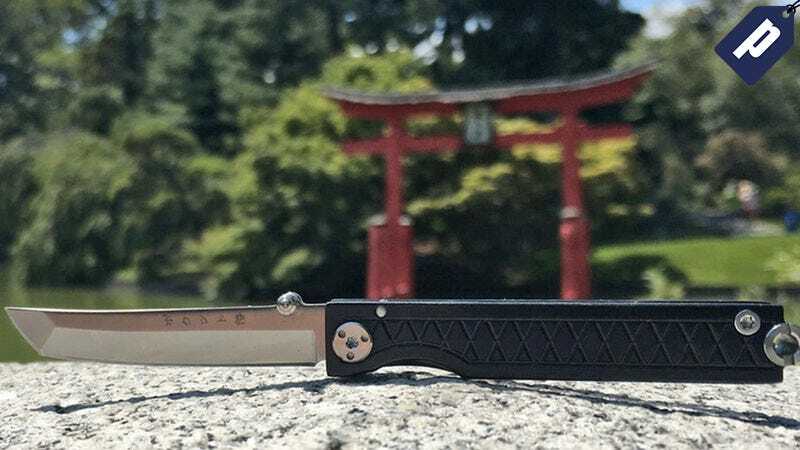 The Pocket Samurai Titanium Keychain Knife from StatGear is a handy katana-style pocket-knife for opening boxes, cutting rope, or trimming loose ends. It normally runs for $40, but Jalopnik readers can grab one today for $30. This pocket-knife is made out of Grade 5 titanium with a 440C stainless steel Tanto blade, making it durable and resistant to any wear and tear. It easily fits on your keychain, clips onto your pocket, and even has a built-in money clip to store your cash. Hit the link below to learn more, and grab your Pocket Samurai Titanium Keychain Knife today for just $30.